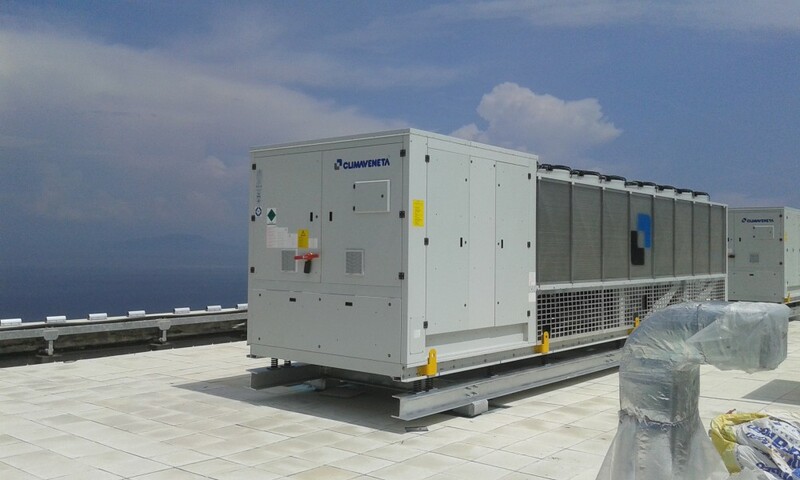 Mitsubishi Electric Hydronics & IT Cooling Systems, through its brand Climaveneta, has recently supplied HVAC units to the new luxury hotel now under construction at Benitses Beach in Corfu, also known as the “Green Island” for its thick vegetation. The complex includes a 5-star hotel, 40 bungalows and furnished villas, with a total capacity of 893 beds. It is the first large hotel in Greece, designed to avoid the use of fossil fuels and therefore does not emit CO2 into the atmosphere. Climaveneta heat pumps provide cooling, heating, and domestic hot water guaranteeing the rooms and common areas air conditioning, domestic hot water for bathrooms, laundries, kitchens, and swimming pools. In detail 4 ERACS2-Q / LN-CA / S 3222 multi- purpose heat pumps with a total cooling capacity of 3304 kW and a heating capacity of 4164 kW were sold through the distributor for Greece Delta Techniki. These heat pumps are characterized by the simultaneous production of heating and cooling in a highly efficient way, offering a unique solution to meet all the needs of the hotel throughout the year. In addition to these, 3 Prana EW-HT 0612 heat pumps, with a total heating capacity of 864 kW, have been installed for the production of high temperature hot water, up to 78 ° C. The whole plant room is managed by ClimaPRO, which is the most technologically advanced solution for controlling and managing heating and air conditioning systems and maximizing the energy efficiency of the whole HVAC plant. 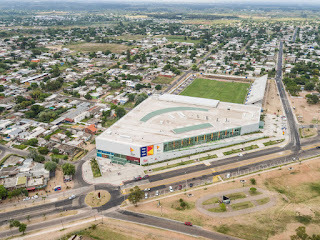 Considering that more than half of a hotel's energy consumption depends on the air conditioning system and on the production of domestic hot water, the installation of advanced systems like this allows the building achieve exceptional results in terms of energy savings estimated at around 60% with respect to systems based on fossil fuels and at least 25% compared to systems with traditional heat pumps and chillers installed.